The #1 moment of 2014 is our interview with the incredible Bishop T.D. Jakes. This man moves millions every week in his sermons broadcasted live from the Potter House. To be able to sit down with this influential man of God and discuss his latest New York Times Best Selling book, 'Instinct' was both an honor and a privilege. I am just so happy we got a chance to interview someone that we admire and are truly inspired by. Our #2 moment was back in April when we had the pleasure of interviewing one of the best actresses of our generation, Kimberly Elise. We discussed her movie Apple Mortgage Cake, which premiered on the UP channel. If you've ever seen Set it Off, John Q, Beloved or Diary of Mad Black Women then you've witnessed just a few of the amazing movies the talented Kimberly Elise has left her indelible mark in. The #3 moment is our interview with the Oscar nominated Taraji P. Henson at the 'From the Rough' movie premiere. We are big fans of Taraji's work and loved being able to speak to her on the red carpet. Looking forward to seeing her in the new Lee Daniels directed series, 'Empire' premiering next week on Fox. The #4 moment this year comes from interviewing the Prince of Sophisticated Soul, Mr. Will Downing. We talked with him about his latest album, Euphoria. Will Downing's music is smooth like chocolate and his personality is big and a lot of fun. We talked about everything from him recovering from the disease Polymyositis to his longevity in the music industry. This interview was more than a conversation, it was a real good time. Our #5 moment was being invited to cover Holly Robinson Peete's 'Gratefully 50' Party? Yeah I know we can't believe she's 50 either. We had a ball interviewing icons like Magic Johnson and LL Cool J, who just happen to be Holly's friends. The #6 moment belongs to our coverage of the 24th annual NAACP Theater awards. Every actor that you love probably started out in the theater, so it was a real treat to interview those nominated for one of these prestigious NAACP awards. Check out all the stars we interviewed on the red carpet. The #7 moment is our red carpet coverage of 'From the Rough,' a movie premiere starring Taraji P. Henson. We spoke to Letoya Luckett, Henry Simmons and Omarosa. This was a great movie based on a real trailblazer. The premiere was followed by one of those Hollywood parties. Oh what a a fun night we had! Our #9 moment of 2014 belongs to our coverage of Robi Reed's 12th annual Sunshine Beyond Summer Celebration. The stars that come out to support this charity event shine as bright as the sun that beams down on the red carpet. Check out our interviews with Goapele, Eva Marcille, Kym Whitley, John Amos and more. The #10 Moment of 2014 goes to The film premiere of Don B. Welch's 'The Divorce' on February 19, 2014, at the Barnsdall Gallery Theatre in Los Angeles, CA. This film stars Dawnn Lewis, Vanessa Bell Calloway, Tatyana Ali, Angell Conwell, Judy Pace, Freda Payne, Jonelle Allen, Rylan Williams, Tammi Mac, and Keith Burke. We spoke to Loretta Devine (Grey's Anatomy), Richard Brooks (Being Mary Jane), Will Smith Sr., Ernest Thomas (Everybody Hates Chris), and many more on the red carpet of this event. The #11 moment of 2014 is our one on one interview with actress Tammi Mac about her one woman show 'Bag Lady' that premiered at Stage 52 in LA this year. This show was so good that the legendary Stevie Wonder came out twice to support it. The #12 moment of 2014 is our red carpet coverage of Tammi Mac's Bag Lady premiere. It was great watching how Tammi's show all came together. It was a blast interviewing all of her celebrity friends on the red carpet. 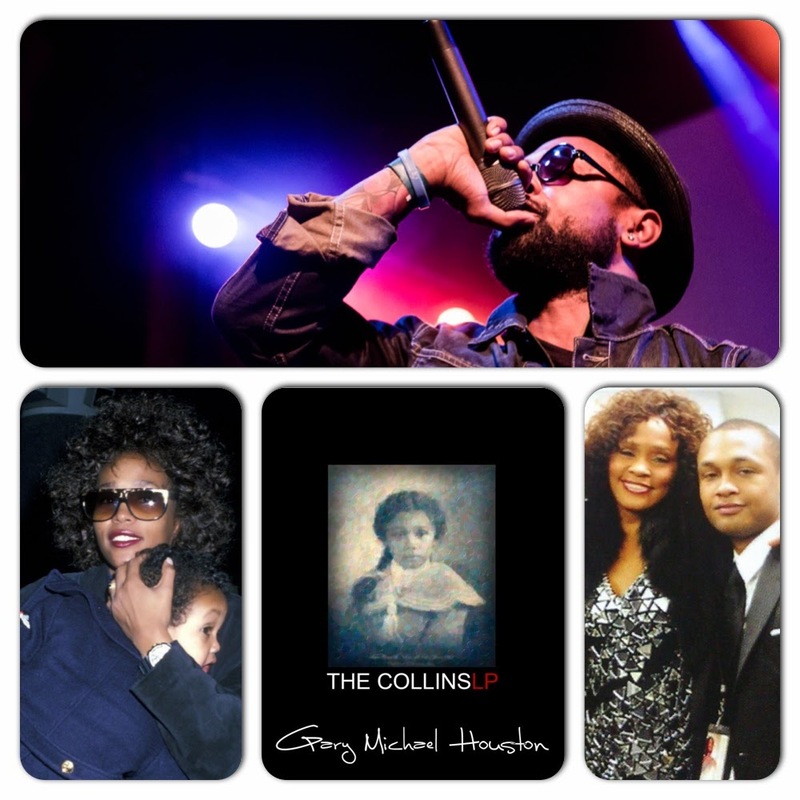 Our #13 moment is our interview with Whitney Houston's nephew, Gary Michael Houston. We talked about everything from his mixtapes, to 3 independent EPs (CORRUPTION 1-3), to his most recent body of work “The Collins LP.” We also discussed his beloved aunt Whitney Houston and Bobbi Kristina. Our #14 moment of 2014 is our interview with Mali Music on the red carpet of the 2014 Merge Summit. It was so cool to be able to attend an event that celebrates both faith and entertainment. It was awesome to tell Mali Music face to face just how great his music is. This dude is a real artist and it was an honor to meet and interview him this year. yet if your aerator and cartridge are pearltrees.com functioning after that it will be Website nobodies in contrast. Most of the faucets ideal karaoke machines 2017-- singing when you're winning on the listing are built with a Karaoke Machines resistance to difficult water by Best Karaoke Machines Reviews using rubber nozzles on completion. Do you get bored with the default ringtones of your mobile phone? And you want to change those boring ringtones? I will suggest to you the list of the best ringtones for mobile phone, you can consider to download to your phone. nike air max 1 hyperfuse pas cher Développé par asics chaussures badminton l'excellent empereur Napoléon, la grande et colossale structure de nike blazer femme soldes 164 pieds de haut, l'arc symbolise la victoire nike air force one homme blanc militaire de l'empereur et de la France. nike air max thea premium w chaussures gris rose C'est vraiment établi principalement avec le asics gel lyte v noir rouge produit et les entrées habitués à produire la asics gel lyte iii w chaussures bleu blanc chaussure.